There are plenty of eye-catching chassis on the market today, but if we had to pick a favourite, be quiet! 's Dark Base 700 would be a serious contender. 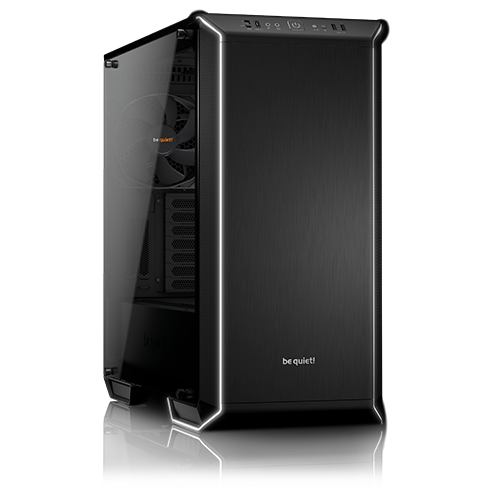 The German manufacturer's mid-tower enclosure recently picked up a HEXUS Editor's Choice accolade and boasts stylish aesthetics, a versatile modular interior, exterior RGB LEDs with motherboard control, bundled SilentWings fans and an I/O panel equipped with both fan control and USB 3.1 Gen 2 Type-C.
An excellent all-rounder that fetches £170 at retail, and to help celebrate the launch we have two of these bad boys waiting to be won! And heck, seeing as it's the Christmas season, be quiet! is also throwing in a couple of extra goodies for our first winner, who will be able to pick a be quiet! power supply and cooler of their choice. The perfect upgrade? You know the drill. To be in with a chance of winning this fabulous chassis simply answer the following question to enter our free prize draw, and don't forget, you can also claim a second entry via Facebook. Need a clue? You'll find the correct answer in the HEXUS review. The competition winner(s) will be picked at random from all eligible entries that arrive by 22:00 GMT on the closing date, December 22, 2017. The winners will be notified via email by December 29, 2017. The winner must claim their prize within 7 days of the promoter sending notification. If the prize is unclaimed after this time, HEXUS reserves the right to offer the unclaimed prize to a substitute winner selected in accordance with these rules. First prize is a be quiet! Dark Base 700 chassis, a be quiet! power supply (Dark Power Pro 11, Straight Power 10, Power Zone or Pure Power 10 series) and a be quiet! cooler (Silent Loop, Dark Rock, Shadow Rock or Pure Rock series). Second prize is a be quiet! Dark Base 700 chassis. Would under ideal circumstances opt for a case with optical drive bay, but my circumstances aren't ideal. So I would be very happy to actually have a quiet system, which is well worth the compromise of an external dvd drive. I'd probably cry if I won this.